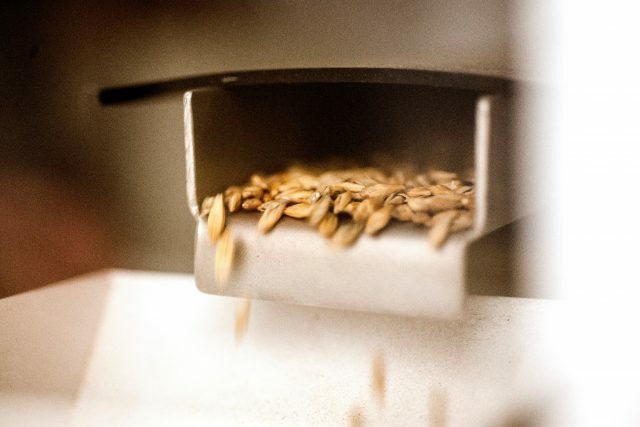 An Edinburgh micro-brewery is trialling a new gluten-free barley from Australia which it claims could be a game-changer for the free-from beer market. Bellfield Brewery, which was set up by two Coeliacs and launched its first two free-from beers on the market in March, has been licensed to use the new Kebari barley in small-scale non-commercial trials by the Australia’s Commonwealth Scientific and Industrial Research Organisation (CSIRO). It is hoping this will lead to the development of a wider range of more interesting, naturally gluten-free beers in different styles, and is particularly keen to develop darker and heavy beers and stouts that are rarer to find in the free-from aisles. The new barley has taken thirteen years to be been developed through selective breeding, which has resulted in a barley with 10,000 times less gluten than regular barley. At 5 parts per million (ppm) gluten, it also falls well within the WHO’s recommended limit (for gluten-free) of 20ppm. The brewery is dedicated to producing gluten-free beers, having been set up by two Coeliacs. It is using the trial to discover the range of the barley and see what beers the gluten-free barley can produce. Owner and co-founder Giselle Dye said gluten-free beers were primarily produced using added enzymes to clarify and remove the gluten, or through a filtration process, but that this would provide more choice for customers and was an issue of “trust and provenance”. “Coeliacs have to be careful and lots would prefer their beer hadn’t been treated with enzymes, but were naturally gluten-free,” she told db. Brewer and brewery Manager, Kieran Middleton, added that the new trials continued the new brewery’s strong commitment to R&D and innovation in brewing. “Last year we completed a research programme with Heriot-Watt’s Institute of Brewing and Distilling and we will soon be starting another round of research and recipe development so that we have a pipeline of tasty gluten-free beers,” he said. Since launching in the Spring, the brewery not only supplies around 100 outlets in the central belt in Scotland and has started to supply its range in London and the South-East through supplier Amathus.